Baby shoes, bamboo fleece lined "kooky owl" stay on/soft soled. 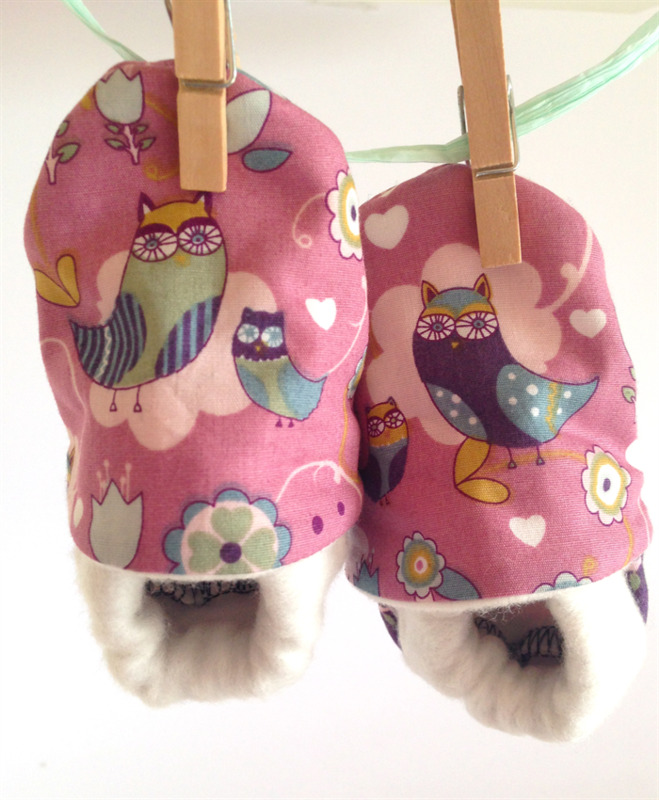 Quirky little soles "KOOKY OWL's" stay on baby shoes! Did you know baby's feet perspire twice as much as adults? Thats why I use Bamboo lining! The width of your thumb should fit between your baby’s toes and the front of the shoe. There should be about a centimeter to a half-inch of room. If you’re in between sizes, always go bigger rather than smaller. You can alway's trace around your childs foot to get the correct measurement and the best shoe for bub are lightweight, flexible shoes with an absorbent In-sole! Why do I use a Bamboo fleece lining and in-sole? Did you know that baby's feet perspire two times more than adults? Which is why Iv'e chosen to use bamboo fabrics in our lining and In-soles as this is the most breathable, eco-friendly, absorbent & anti-microbial fabric on the market today. Provides PURE comfort for baby! Bamboo fabric has a silky, smooth feel that is truly surprising. It has a natural sheen unlike other natural vegetable based fabrics making it luxuriously soft for newborn's delicate skin. Oh just another great advantage, it's sustainable!! :) I LOVE Bamboo! Payment to be made within 5 business day's please or item will be re-listed for sale!